Following on from the Southwell article ….The two areas being connected by complimentary geometry . It may well be there is more landscape geometry to find than my initial discovery. Going on the latest grid adventure is no longer a surprise, we know the magic will flow and are even more alert these days to the signs, winks and nudges of the spirit world….Not to mention from the Earth itself which is a conscious living form fully self aware…This is how the ancients perceived, they listened to the Earth….something we have lost in TV society. Just think for a minute how that realisation, of a sentient conscious Earth, would affect the collective mindset of this planet and our approach to how we interact with this wonderful blue marble bobbing about in space. Our current behaviour is a bit like collectively all shooting ourselves in the foot….JFK in one of his famous speeches, before he was killed off by the international banking cartels, …spoke of the fact that….. We all inhabit this planet, we all need clean air to breathe, and fresh water and good wholesome natural food….AND that Russians love their children as much as US citizens…So what’s with war and destruction? Everyone really wants the same thing…To live in peace and abundance …natural abundance not the mind programming unnatural abundance of the projected advertised material world ….via the weapon of mass deception ….TV. Some of course, including religious groups, believe GOD will intervene and save us from ourselves! Not going to happen folks!. …It’s a cop out…Pushing personal and collective responsibility outside of oneself. Root to this thinking can be found in the internal ego files …The ego loves to push blame outside of itself. Ego, being a false persona, living in residence, is in effect squatting for the duration of the incarnation and in most cases runs the dysfunctional human unit. Ego is the sum total of all our experiences to date and with those experiences comes the opinions and evaluations that make up the individuals summing up of the world around them. Ego is linked to the name given to it by someone else along with the state issued national insurance number…the false identity, a laughable folly on death. Humanity is responsible to itself !……The only thing that might intervene is the conscious Earth evicting the human species as not being up to speed with regard to the parasite / host relationship…and that is currently our situation. We have developed into a parasitic life form , cancerous to the planet as we set about abusing and destroying her further ….With so called intelligent people designing, funding and erecting nuclear power stations in coastal areas and to be doubly sure of an eco disaster - putting them on areas known to be seismic!!..(Fukushima). How clever ….Let’s hope our grandkids can understand such dysfunctional behaviour when we explain to them why the world we brought them into is all poisoned, contaminated and generally screwed up… and explain why we never stopped it …or even acknowledged it was happening. Worth noting that 99 % of all the species that have ever lived on planet Earth are now extinct….will we go the same way?... a failed experiment perhaps?. Yep…It has to be noted the human race is one dysfunctional life form….it destroys its own habitat and we are heading towards taking everything else with us , the animals,flora and fauna …Fukushima will still be giving off deadly radiation for decades / centuries to come….It’s just a matter of time . Fukushima disaster is a global game changer and will affect every living thing on the planet…. making the current Syria crisis look irrelevant. Well, not really …We are being sprayed now with chemicals from planes…Chemtrails. You can see them most days …..The net is full of articles and pics…Strontium, Barium and Aluminium. It’s about population reduction and contaminating the soil so we can only use GM aluminium resistant seeds from Monsanto. My proposal to you is this…Why not run a search on the internet and look out of the window and see the lines in the sky for yourself….maybe tell others? The global awakening may spread and collectively we may stop it or may be not. I’ll leave this revelation of the global poisoning of yourself, family, plants and pets with you to ponder . Some not so good …Nuclear power stations , unnatural GM foods and Chemtrails of course. These psychopathic ideas came from psychopaths on a ‘service to self mission’ to remove money from you at the expense of your failing health…thanks to them, and we let them do it through apathy . Apathy is a vote of approval by proxy. There is a way of living and perceiving that is not a projection of a media hell bent on wanting you to believe their version of their reality view , which ultimately has underlying commercial interest…sponsors, advertisers etc…wanting sales. Literally programming you with a belief that you need a certain something to be truly happy…when you get it the bliss, if any, is short lived so they now tell you you need something else they are selling……..Very funny to watch and utterly devoid of any real intellect by an awake observer. If its true, its true…and someone saying it isn’t because they do not want it to be, doesn’t change the fact if it is true….All you have to do is look into the points I have raised above…many readers will already be aware..but if you are one that isn’t ..please become aware ..if only for your children’s sake. Never under estimate the power of denial …Denial originate’s from ego persona, its reality construct is under threat so kicks anything that doesn’t fit its established main frame into touch. Ignorance is bliss, even if your children die early…and your grandkids are born deformed through radiation on a toxic planet……. …Chemtrails can wait or can they ? . Just one last thing….Some say to me if the psychopaths in power didn’t want the information getting out about their evil doings they could just stop it. Very true…but here is the rub. On a soul level you represent energy to them, and they can’t influence your freewill you have to say you want it…your conformity to their false reality allows it to continue…power really is in our hands not theirs with regard to choice. The dark team want you to choose freely , through freewill a prison planet with them in charge forever….so they manipulate the masses into decisions they have already planned you will accept…’war on terror’ being one. By the way ‘terror’ is an emotion…..how can you have a war on an emotional state?…There is terror next door with the wife getting beaten up by hubby…or kids being abused or Iraqi men, women and children fleeing bombing by the US…war on terror is a war without end ….Which is the end goal. 9/11 was an inside job so the people would cry something must be done….and the doing was already pre packaged for the cattle/sheeple to approve….Information then comes to light that shows a clear conspiracy ….so a crime, a very big one has been committed …Mass murder both in the World Trade Centre and Iraq….So what then did the people choose to do? Ignore it and go along with the official story…more war is the result. This has frightening implications for us individually and collectively …In effect by going along with it we deny our godspark and instead listen to the ego false persona that says….It’s alright , don’t rock the boat…Mr Bush is a nice man really, I like his tie…were doing ok, what can we do. That my friends is a choice…To disregard truth over the lie…..We just gave them our power to do as they want……We knew and did nothing, choices leading to consequences both personal and collectively………This is why were at where we are at…We have to make better choices both personally and collectively to live our truth…not someone else’s lie…a cop out . With all Choices come Consequences…..We can be what we truly came to be -responsible co creators….question is…can we rise to the challenge….or will we perish….time is short, world is going down Financially, Economically, Politically and Environmentally and worst of all …Morally! Time to decide…Can we live in truth and create something better for ourselves… To make the right choices born from our heart. OK…enough ranting at a dysfunctional world….on with the Magic of the Geomancer. The trip route was planned the night before ….The 1 :50000 scale map was detailed enough for accurate geomancing but not detailed to the point where it left nothing to be found on the site….a blank space was left for spirit to come through. I decided with Jackie, my partner to ‘wing it’ with regard to the accommodation…I’d never been left high and dry on a grid expedition and often the accommodation position turned out to be very complimentary to the study…Showing us we were being looked over and watched….maybe by that ‘Earth Consciousness’ I mentioned earlier. First stop Hardwick Hall….Although disappointingly closed for repairs the grounds could still be walked so managed to find the area where the main centre line from the Temple Normanton axis came in before flowing through and aligning perfectly with the main avenue approach to the Major Oak in Sherwood forest. Man made mound in foreground. On page 16 he mentions the following with regard to chi …or natural earth energies under the observation of feng shui practices. TM - Personally I am not fond of flat countryside and feel the effect on me the same as described above….sometimes I feel a sickly feeling especially on the Lincolnshire fens…horrid. The rolling wolds (limestone) and Lincoln Heath (limestone) where Temple Bruer is situated is far more pleasant to me. Geology also plays its part in energy dynamics…limestone is crystalline where as the fens is very clay infested…..I do feel each area attracts a certain type of person …some love the energy of the fens…some love the feel of the limestone heath…each to their own. If the mound at Hardwick on the Ley of Matlock /Hardwick /Major oak has been intentionally put there then its possible others either past or present know of the ley…or spirit might have influenced its manifestion unknown to the people who erected / built it …either is possible. I have seen sympathetic structures to the established geometry put in grounds at major halls just because it seemed like a good idea ….oblivious to any higher controlling influence that may have wanted it put there. Sometimes there is no conspiracy, things just manifest that way …Only when the reasoning for the positioning is recognized does the involvement of spirit become apparent. 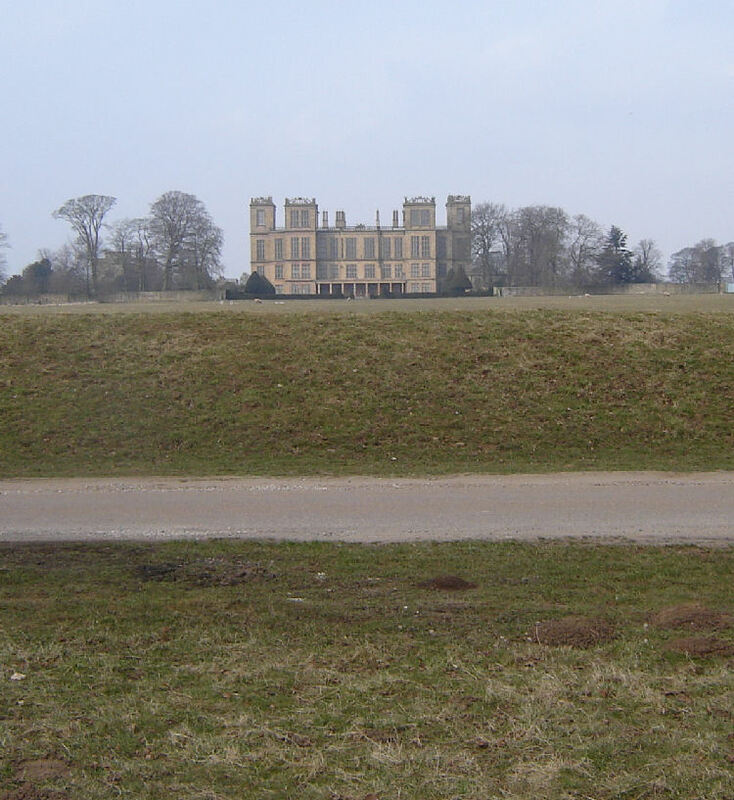 Many of the big houses fall on leys ….so my money is on the owners knowing of the ley as other things at Hardwick suggest knowledge. 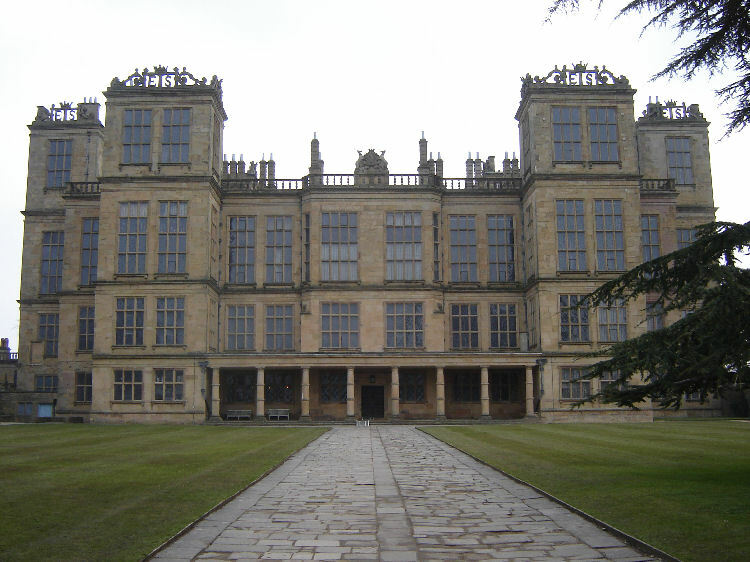 A quick chat with the staff started the ball rolling with serendipity…apparently it was the home of Bess of Hardwick who was also involved with Chatsworth….The ley coming into the hall was part of a 345 triangle linking Matlock/Hardwick/Chatsworth …so here was our first nudge. Temple Normanton main penta arm point…and hopefully an ancient church. Oops..not really….weirdest church I’ve ever seen. 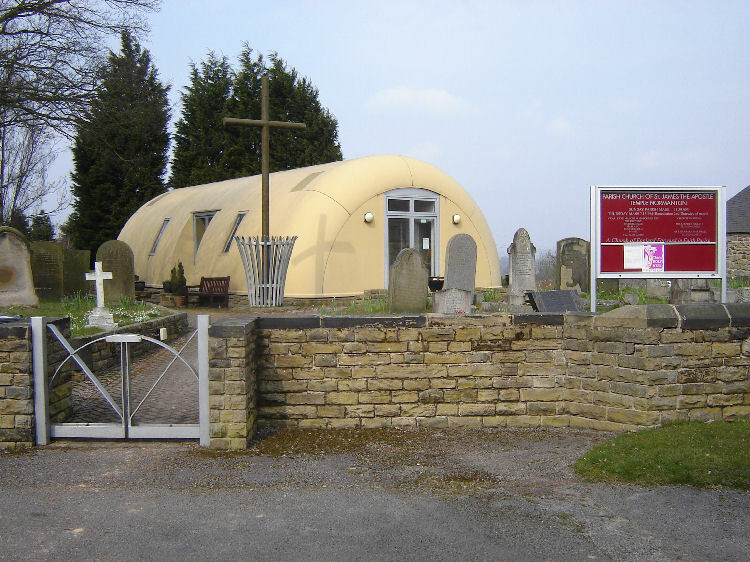 The local handy man was there doing some repairs so let me in for some pics, the site was old as the gravestones predated this modern structure….He told me before the dome prefab church there was a wooden one, then and older stone one before that…unfortunately now gone. The road up to it showed a ‘manor barn’ sign so may have held a manor house near the church site. Current church site was a good vantage point with views and would have been a good place for a stronghold although the exact Templar site could not be determined……either way all the emotional deposits associated with church gatherings…funerals, weddings and christenings…the agonies and ecstasies of people will be grounded at the site regardless of current architectural detail. Managed to get two churches at Tupton on way through….interesting again to note the manifestations in a small area..2 churches, school and social club…all socially very active grounding more human emotions at the site….see other TM articles for the theory of something looking in milking feeding off our emotional energy…. ‘The Farm’ theory. SPITEWINTER- MAIN PENTA ARM POINT. 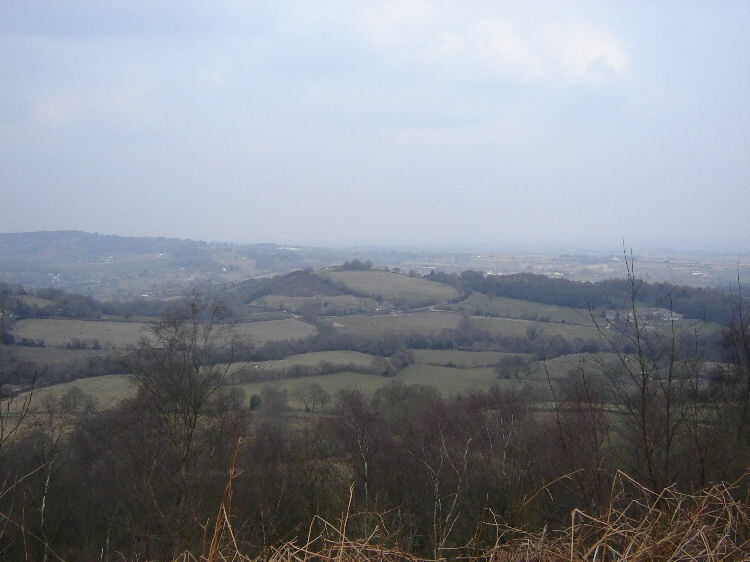 Real treat this one…major hill, stunning views and a high point. A scout camp had manifested on penta arm / hill peak…also noted that one field showed some large stones piled up in the corner not sure where they were from but certainly Avebury size stones…Didn’t see any more anywhere else like them. They would have been hard to move so may have always been there . 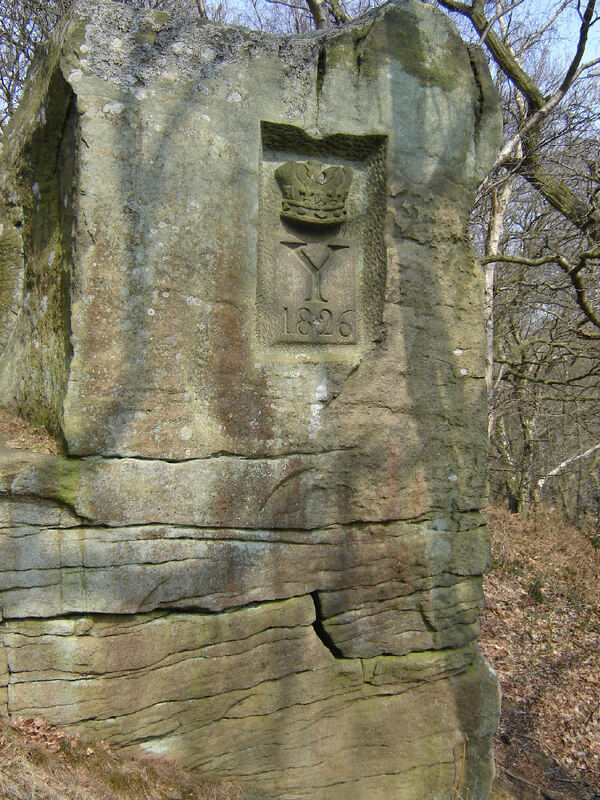 Onto Ashover…MAIN PENTA ARM POINT. 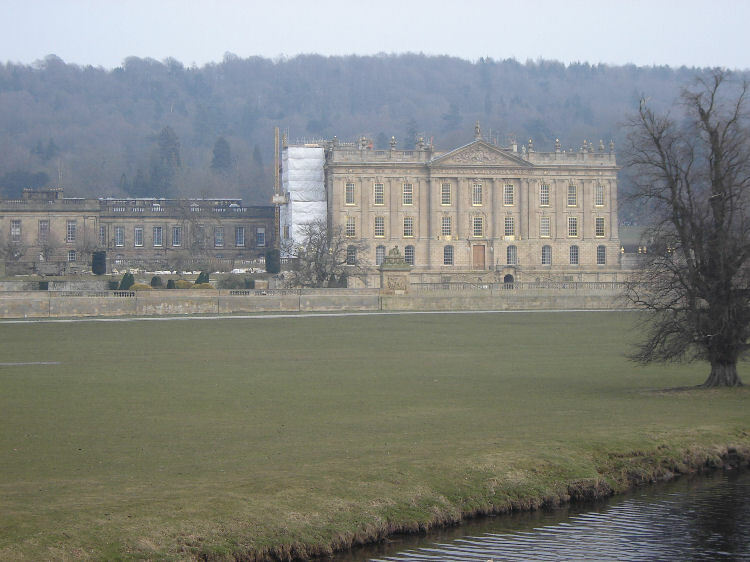 I was looking forward to Ashover as I had read Jopseph Banks had a residence near there and Banks was connected into Lincolnshire through Revesby Abbey, as well as in the Masons group from Woodhall spa that Francis Dashwood was involved with. Dashwood being very involved in the Temple Bruer geometrics of course. 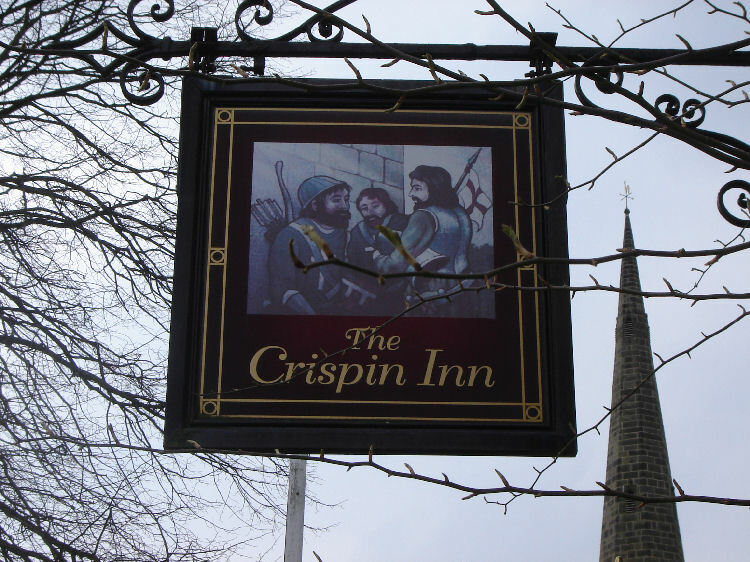 On entering Ashover a nice feeling came over me…nice people, friendly…then round the corner only to see a pub called the Crispin !....”Thats it !” I shouted to Jackie.. “Thats the pub noted from the book I glanced at in Hardwick book shop…We’ve got to go in there”. Landlady/barlady was friendly….and had just returned from Lincoln…CONNECTION NUMBER 1 …..A man was at the bar and I asked if he knew where Joseph Banks once lived. He didn’t know but someone was coming into the pub soon that would know he replied…perfect lets have some lunch then ! Sitting at the window taking it all in I noticed we were right next to the church…perfect as the church was the nearest building to the main penta arm point…we couldn’t get any nearer. Ordered the food only to see it delivered to our table with butter cut into penta arm points I kid you not!…….Even went as far as comparing the angle of the butter with my map showing Ashover penta arm…perfect match…at 36 degrees served up on the 36 degree penta arm….what are the odds? as I am fond of saying. Just as I offer the butter up to the map…the Joseph bank guy pops his head round the corner….He must have wondered what the hell I was doing…he informs me of the house position…then quickly exits..had to laugh. Next character to come in is the vicar ! !....oh I couldn’t have made it up . He settles in and ordered his food on the table next to me…I decided to remain silent as even vicars like a quiet time while eating …I know I do. The barlady then comes over and forces a discussion by saying in a loud voice… “If you want to know more about the area he will know…he’s the Vicar”. So we start to chat …turns out he is not the Vicar for Ashover but for Matlock. 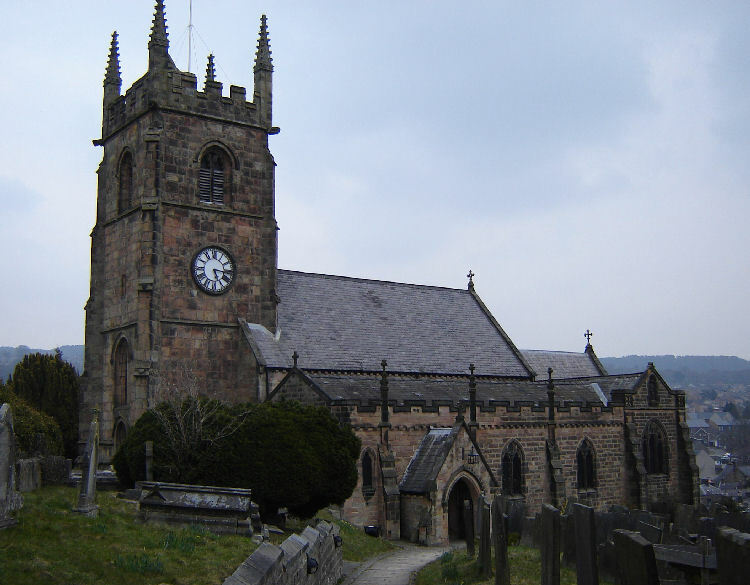 He tells me Matlock means meeting of the oaks, and that Matlock Church had a oak tree of ancient renown….I was intrigued as my centre penta line connected a church in Matlock through Hardwick Hall and on to the Major oak in sherwood forest…CONNECTION NUMBER 2. 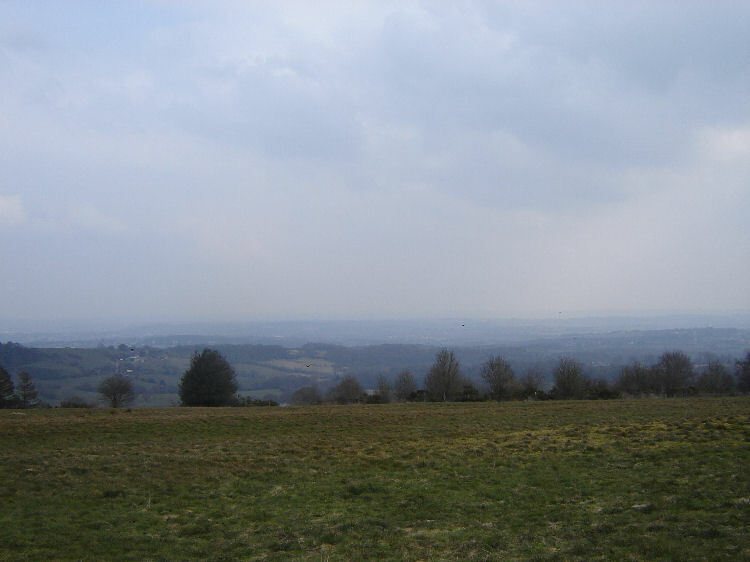 Time was moving on fast now so we decided to head for Matlock for Accomodation…It was Easter week usually very busy . Matlock reminded me of Rennes les Bains near Rennes le chateau in France…the town/village nestled in between the rocks…even the rock strata looked the same type…the similarites were uncanny . Jackie is quick to decide like me and on passing a hotel called high Tor we both felt good about it…so stopped to enquire…room available with discounted rates for that night..perfect..we’re in. High Tor is a good name for a hotel to stay at for a geomancer…high point, in tune with the land….I checked the map for position once in the hotel room. Perfectly situated at the point of the Main extended penta arm going into Matlock…..Even the room was in the right place within the hotel…amazing…what are the odds…CONNECTION NUMBER 3…..The trip was definitely being t- ed up for us…effortless bliss….all we had to do was follow the nudges. 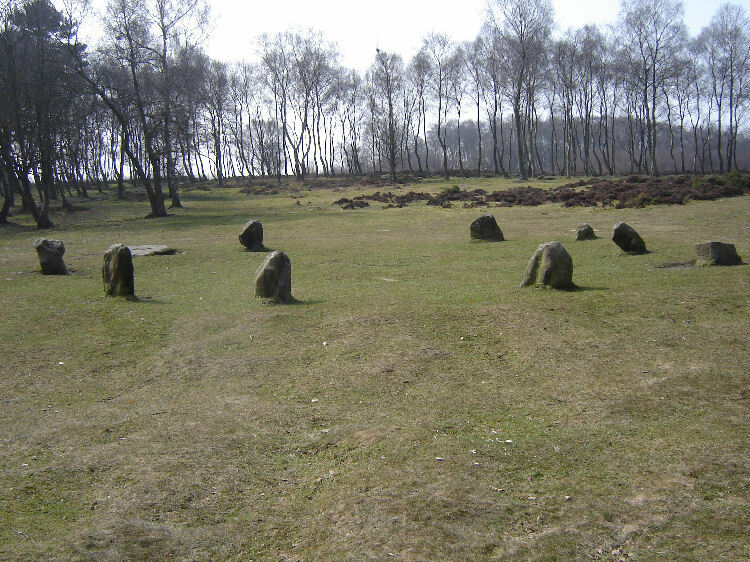 NINE LADIES STONE CIRCLE- Main Penta arm. After a great breakfast at the hotel a new day exploring beckoned…Nine Ladies stone circle, Chatsworth, more churches and the penta centre of this east penta system. Approaching nine ladies on foot from the road is quite a walk…but good therapy as the walk allows you to detune and get centred for the entering circle…On the approach first sight was powerful and stopped for a minute noting to Jaq that I could feel it already, she could to. A few people were hanging around then they dissipated and we had the site to ourselves…which allowed me to tune in more…the dowsing rods showed reaction at the edge of the circle and at its centre…Kings stone also had an effect on the rods. Blissful place loved it. A few minutes later a family group approached and saw us using the rods and enquired what we were doing…looking for water? Is the usual inquisitive comment of newbie virgin dowsers. Jackie had the rods at the time and continued to demonstrate how the rods moved at the edge of the circle and in the centre….they were bemused, their logical mind was tripped up as they pondered the idea that something was making the rods move …logic persisted to the point where I thought the only way they would ‘get it’ was if they had a go for themselves…….To deny your own experience is insanity ..If the rods moved for them they would have to have a period of adjustment to their logical way of thinking. Dowsing is beyond logic…my dowsing rods slip in copper sleeves so the hands cannot make the rods move …the rods are also pointed downwards …so for the rods to move they have to go against gravity…little or no wind means that can’t be used as an excuse either…..only thing left is that there is a genuine phenomena taking place…scary prospect for any logic minded thinker as logic goes out the window as soon as the rods move. I have noticed extreme cynicism usually has an effect on the rods …they don’t move because the operator is focusing on them not moving, rather than relaxing and being open to the experience … they are determined that they wont because they don’t want to deal with having to explain to their ego that there are some things that can’t be explained by logic / ego mind. So step up to the podium our first demonstrator…the grandmother….she looked logical but open minded …and yep they moved for her….she is slightly perplexed and rational mind starts computing the rational possibilities for movement….but there aren’t any available so reality review required…things are not what they seem . Next up …grand kids….I knew they would be able to do it as they have had less time under ego influence and still open minded about the world , still living in awe and wonder …which incidentally is our natural state …its media projection and ego that closes the door through accepting only rational logic. Next …ma and pa….Mother no probs and the father whom I was doubting got a reading as well. Now the good bit….assimilation…and then connections…further interaction brought up that they lived near Temple Newell !...old Knights Templar site ….CONNECTION NUMBER 4. What are the odds of people from two KT sites meeting up by chance at the same time at the nine ladies stone circle. Stunning house but a few of the treasures were not on display due to more refurbishment. Some beautiful geometry in the floor on the landing off the main staircase entrance. to illustrate the musical scale in how the water falls from each section. The waterfall has an interesting background ,it was constructed to illustrate the musical scale,if you pay attention to how the water falls from each section. The penta arm came in near the car park…Not far from where we had intuitively parked the car. On reaching the library I asked the steward who was categorising the titles had come across books on alchemy….he replied Mr Cavendish studied astrology and mathematics very deeply….no surprises there then …or with the geometric layout of flooring. Ruling families know the power of sacred geometry, mathematics, alchemy and astrology…trick is to keep power knowledge within the ruling family groups while throwing media crap to the masses. Seems to work as they have maintained their position well and any discussion within society of sacred geometry and earth energy power manipulation is laughed at…and laughed at because your meant to laugh at it …otherwise the cat would be out of the bag……The saying ‘Do not cast pearls before swine comes to mind’….or let them eat cake even. Coming back from Chatsworth….a few more churches to investigate on the way back to Matlock two at Beeley on main 51.51 pyramid line and one near Stancliffe hall…on main penta line linking chatsworth to matlock (hotel) point. Another converted chapel on the centre axis of west penta circle..This was great as it had been converted into a shop selling material for patchwork etc.. Great magic here as this is Jackie’s profession…making beautiful refurbished pathwork chairs for clients…so let her loose in there for half hour….all this in effect is grounding at the site….grounding good vibes and intent. 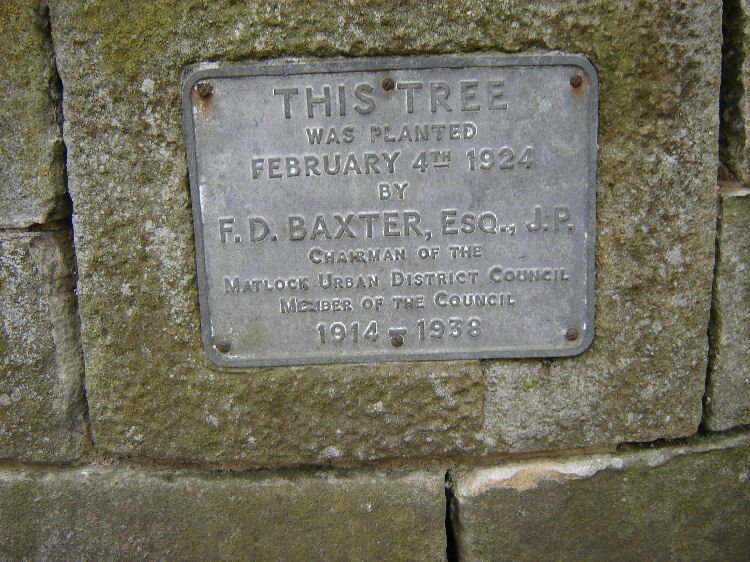 We found the main Matlock church that was situated on the main penta line going from Matlock through the Ashover penta point and on to Temple Normanton penta point….The clock showed 5.15 on arrival there, but couldn’t find site of the old tree although a plaque had been put up noting planting of a special tree…maybe to replace the earlier one…..nice nudge from spirit again. Penta centre depicted a human stick like figure made of roads with a cross roads exactly at the middle point …flash lane…site was buzzing but not like nine ladies..which for me was the highlight of the trip . 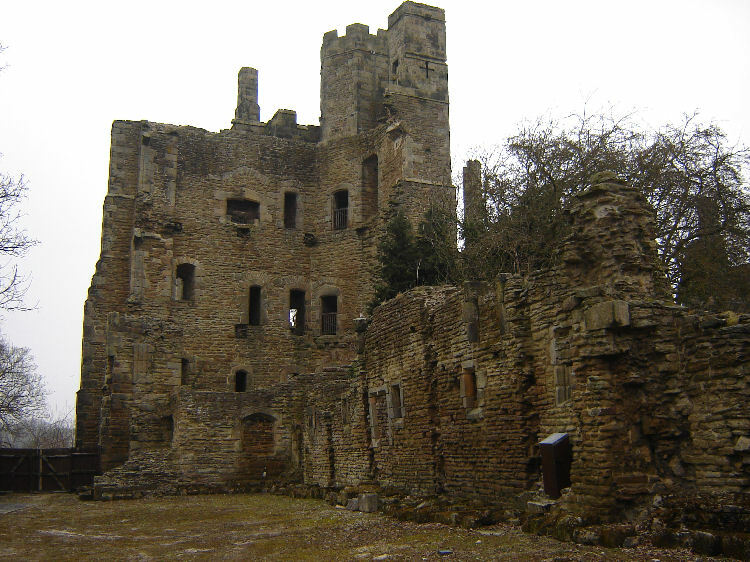 On the last day we called at Wingfield Manor I was told Mary Queen of Scots was held there for a while. A week later I visited my family in Norfolk and visited a house that my sister, Frances worked at for a period as a guide….Frankie told me there was a tapestry in the house made by Bess of Hardwick and Mary Queen of Scots…nice serendipitous family ending to a great geomancing experience. On any grid jaunt we look for 515 and TM as the pokers and prodders from the other side. 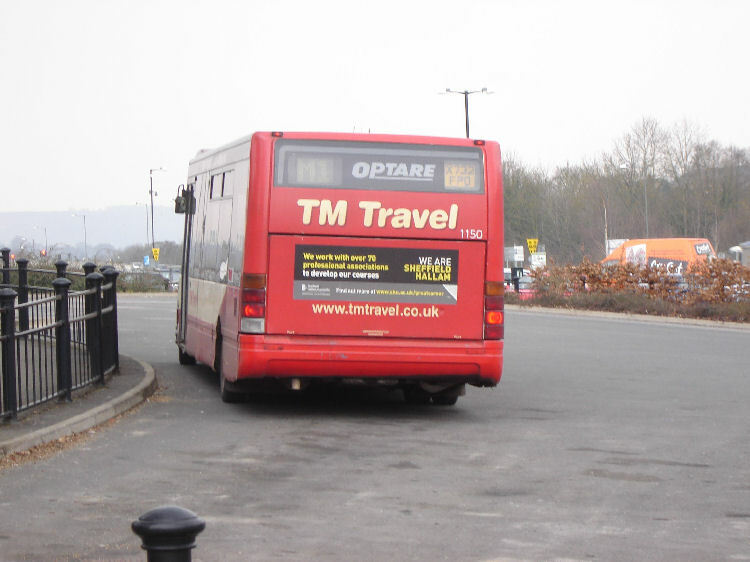 At Royston there was an estate agent next to the Templar cave called TM estate agents…..here at Matlock we caught a glimpse of this coach passing us…number 115. 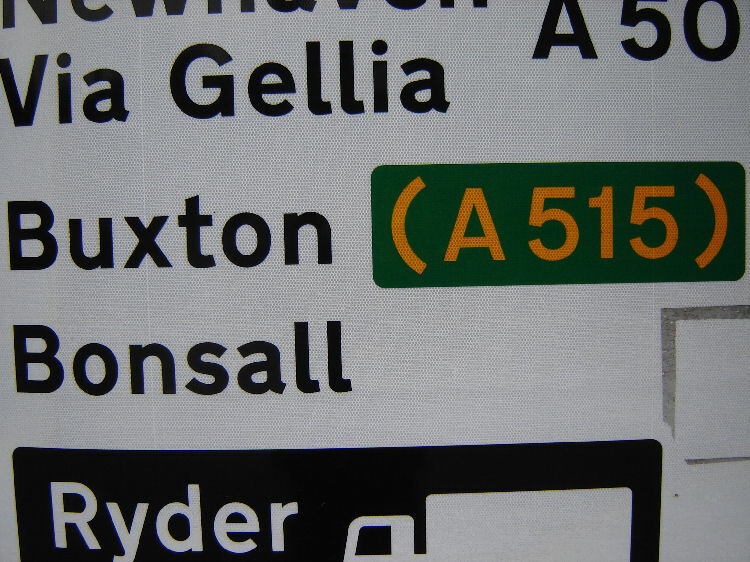 …and the A515 going through to Buxton…... …great fun.